Few foods say winter comfort to me like apple sauce. And what I’ve noticed about comforting food is that taste is only a small part. The bigger part is the sensorial experience. The smell. The texture. The warmth. I hesitate to even call this a recipe as it is so simple. My apple sauce is a one ingredient wonder of apples cut up into small chunks and slowly stewed over low heat. No sugar added. Nothing else needed. 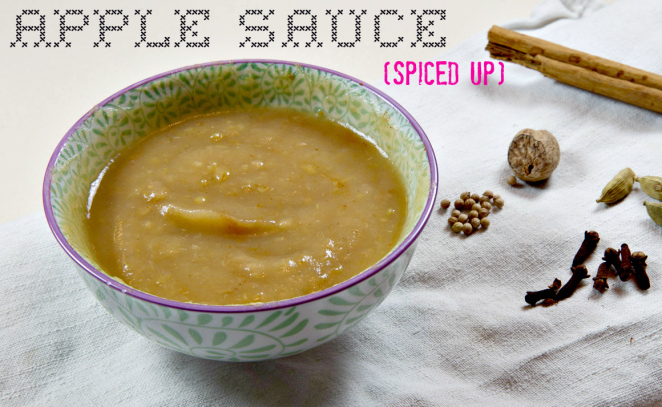 Except, of course for the spices which bring this apple sauce to a whole new dimension. So next time you make apple sauce, don’t just add cinnamon. Make your own spice blend by combining the spices below and storing the spice blend in a jar, adding as much as you want to your apple sauce or to spice up other foods, such as muesli, porridge, smoothies etc. I love apple sauce as part of breakfast or even as a dessert, especially with nuts and seeds or granola/muesli. Try to buy apples made for cooking if you can find them – they are quicker to cook. Otherwise, use the softest apples you can find, chop them up and put them in a pan. No need to peel the apples if they are organic. Barely cover the bottom with water and cover. Place on low heat and leave to stew until the apples are soft and mushy. This can take anywhere from 10 minutes to 20 minutes, depending on the variety of apples used. 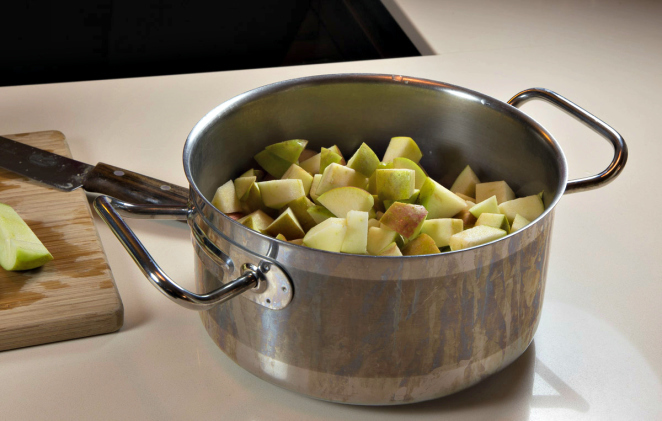 Once the apples are cooked, use an immersion blender to turn the apples into a smooth sauce. 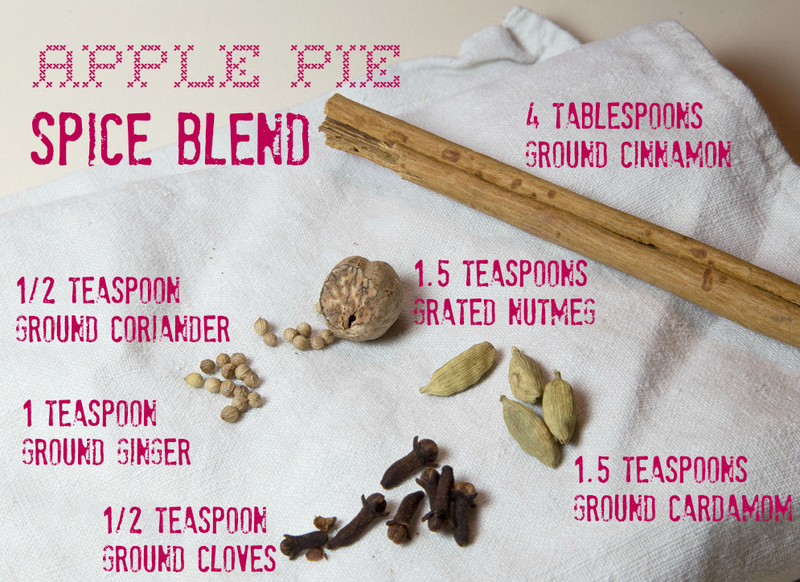 Add your Apple Pie Spice Blend to taste, leave to cool and store in the fridge for several days. Simply combine the spices in the proportions shown below, mix and store in an air-tight jar. If you don’t have one of the spices, just leave it out – it shouldn’t change the taste too much. Unless that spice is cinnamon. Obviously. You can use your Apple Pie Spice Blend with apple sauce, apple pie, muesli, porridge, smoothies or other foods to add a taste reminiscent of apple pie. One of the things I love most about autumn is the taste of spices associated with pumpkins or Pumpkin Spice Mix. I think that is also what makes Starbuck’s Pumpkin Spice Latte so popular (that and all the sugar). To recreate this taste of autumn easily, you can make a Pumpkin Spice mix by combining all the spices, then using the mix on anything from smoothies to coffee to porridge to overnight oats to cookies or cakes. You can even use it with roasted vegetables or pumpkin soup. Combine all of the spices in a bowl, mix, then store in a jar for up to a year. 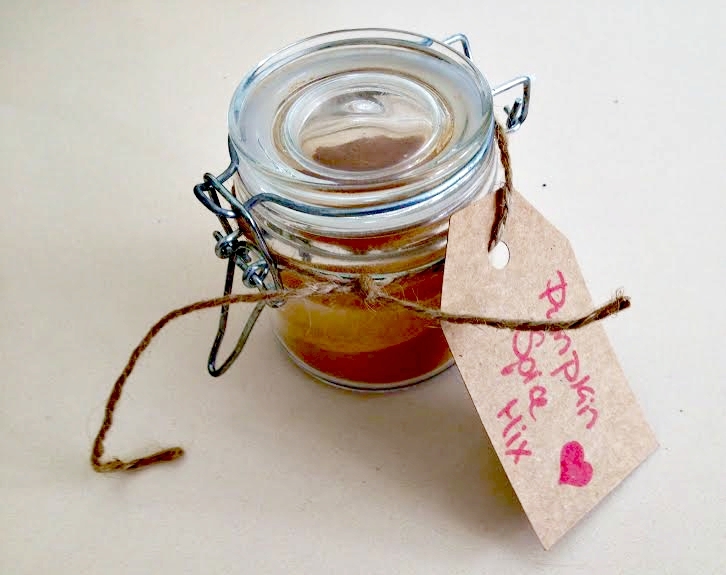 You can find more pumpkin recipes that use this spice mix on my Pinterest board, Pumpkin Love Affair. Have you tried making your own spice mix?